At NorthRock Custom Home Builders, our goal is to ensure your home construction process is a positive experience. As your construction project management team, we oversee the entire project, from hiring of trades people to ordering materials and quality installations. 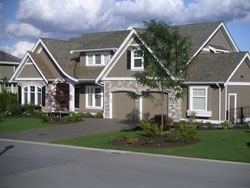 NorthRock Custom Home Builders works with a team of skilled, professional staff and sub-trades, providing products and services for all your home and commercial construction and renovation needs. We believe in clear communication, reliability and quality workmanship. Building a new Vancouver home? Renovating or adding on to your existing house? We can help you achieve your dream. From exterior deck installations and repairs to interior finishing, we do it all.